STAMFORD, Conn. – Feb. 5, 2015 – NBC presents the 2015 ISU European Figure Skating Championships this Saturday, Feb. 7, at 4 p.m. ET with coverage of the men’s and ladies’ free skates. The competition features 2014 ISU Grand Prix Final champion Yelizaveta Tuktamysheva and 2014 Hilton HHonors Skate America champion Yelena Radionova of Russia; as well as two-time European champion Javier Fernandez of Spain. COMMENTATORS: NBC Sports Group’s lead figure skating commentary team of three-time U.S. figure skating champion Johnny Weir, 1998 Olympic gold medalist Tara Lipinski and play-by-play announcer Terry Gannon will host coverage. 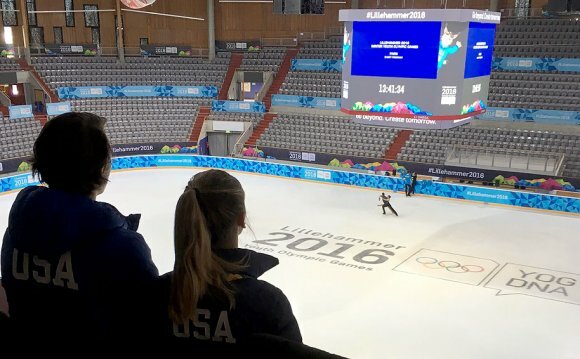 NBC’s coverage of the 2015 ISU European Figure Skating Championships will be streamed on NBC Sports Live Extra via “TV Everywhere, ” giving consumers additional value to for their subscription service, and making high quality content available to MVPD customers both in and out of the home and on multiple platforms. The NBC Sports Live Extra app is available at the App Store for iPad and iPod touch, and on select tablet devices within Google Play.